More than 3,200 dogs, including 90 Golden Retrievers, will descend on Manhattan during Westminster Week 2017. Appearing at the 141st Annual Westminster Kennel Club Dog Show, on Monday and Tuesday, February 13-14, will be 2,798 dogs and 87 junior handlers. The 4th Annual Masters Agility Championship at Westminster on Saturday, February 11 will feature 330 dogs followed by 23 dogs at the 2nd Annual Masters Obedience Championship at Westminster on Monday, February 13. Most entered among the 200 breeds and varieties at the dog show are the Golden Retrievers (65), followed by Labrador Retrievers (46) French Bulldogs (46), Whippets (45), Yorkshire Terriers (38), and Australian Shepherds (38). 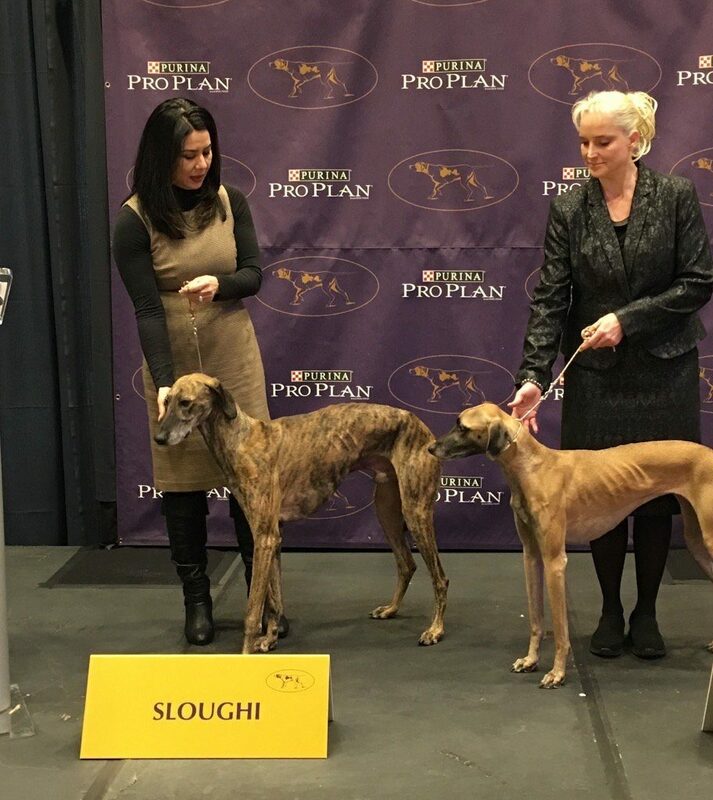 These breeds are joined by three debut breeds at Westminster – the Sloughi (3), Pumi (7) and American Hairless Terrier (14). Golden Retrievers (8) are the largest obedience competition entry and the fourth most-entered breed (17) in Agility behind Border Collies (53), Shetland Sheepdogs (42) and Papillons (21). Televised since 1948, Westminster will once again be America’s most watched live broadcast of a dog show. New this year, dog lovers can tune into FS1 for live Group and Best in Show coverage Monday and Tuesday night from 8 p.m. to 11 p.m. ET at Madison Square Garden and Nat Geo WILD for selected live breed coverage Monday and Tuesday from 2 p.m. to 4 p.m. from Piers 92/94. For information on tickets, broadcast schedule, and live streaming video visit westminsterkennelclub.org. 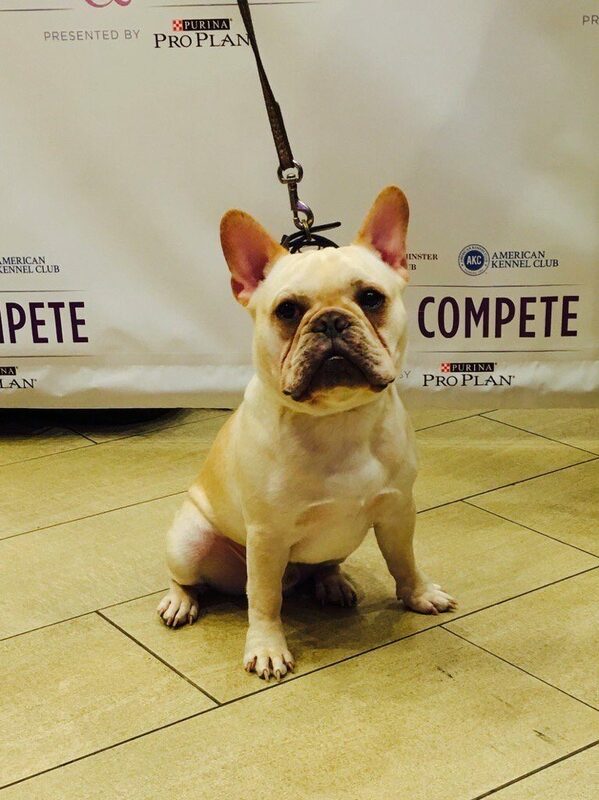 All Westminster Week events are presented by Purina Pro Plan. Sporting breeds (518): Brittanys (15), Lagotti Romagnoli (13), Pointers (19), Pointers (German Shorthaired) (36), Pointers (German Wirehaired) (8), Retrievers (Chesapeake Bay) (21), Retrievers (Curly-Coated) (7), Retrievers (Flat-Coated) (31), Retrievers (Golden) (65), Retrievers (Labrador) (46), Retrievers (Nova Scotia Duck Tolling) (12), Setters (English) (19), Setters (Gordon) (11), Setters (Irish) (19), Setters (Irish Red & White) (9), Spaniels (American Water) (1), Spaniels (Boykin) (4), Spaniels (Clumber) (5), Spaniels (Cocker) ASCOB (7), Spaniels (Cocker) Black (13), Spaniels (Cocker) PartiColor (9), Spaniels (English Cocker) (15), Spaniels (English Springer) (29), Spaniels (Field) (16), Spaniels (Irish Water) (6), Spaniels (Sussex) (5), Spaniels (Welsh Springer) (7), Spinoni Italiani (11), Vizslas (22), Weimaraners (20), Wirehaired Pointing Griffons (13), Wirehaired Vizslas (4). Hound breeds (417): Afghan Hounds (21), American English Coonhounds (2), American Foxhounds (6), Basenjis (18), Basset Hounds (9), Beagles (13”) (10), Beagles (15”) (28), Black and Tan Coonhounds (5), Bloodhounds (6), Bluetick Coonhounds (5), Borzois (27), Cirnechi dell’Etna (7), Dachshunds (Longhaired) (20), Dachshunds (Smooth) (27), Dachshunds (Wirehaired) (28), English Foxhounds (2), Greyhounds (8), Harriers (3), Ibizan Hounds (8), Irish Wolfhounds (15), Norwegian Elkhounds (4), Otterhounds (8), Petit Basset Griffon Vendeens (16), Pharaoh Hounds (16), Plotts (5), Portuguese Podengo Pequenos (10), Redbone Coonhounds (4), Rhodesian Ridgebacks (32), Salukis (9), Scottish Deerhounds (5), Sloughis (3), Treeing Walker Coonhounds (5), Whippets (45). States (49): Alaska (2), Alabama (26), Arkansas (6), Arizona (28), California (246), Colorado (39), Connecticut (121), Delaware (15), Florida (148), Georgia (79), Hawaii (8), Idaho (6), Illinois (54), Indiana (37), Iowa (6), Kansas (13), Kentucky (22), Louisiana (31), Maine (11), Maryland (90), Massachusetts (97), Michigan (82), Minnesota (35), Mississippi (5), Missouri (27), Montana (4), Nebraska (8), Nevada (12), New Hampshire (41), New Jersey (188), New Mexico (9), New York (260), North Carolina (94), Ohio (108), Oklahoma (29), Oregon (25), Pennsylvania (232), Rhode Island (17), South Carolina (49), South Dakota (3), Tennessee (46), Texas (110), Utah (3), Vermont (21), Virginia (113), Washington (91), West Virginia (10), Wisconsin (54), Wyoming (2). Other: Washington D.C. (7), Puerto Rico (2).